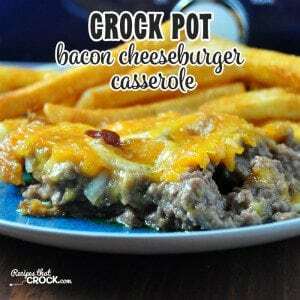 Crock Pot Bacon Cheeseburger Casserole - Recipes That Crock! Do you like bacon? Do you like cheese? Do you like beef? 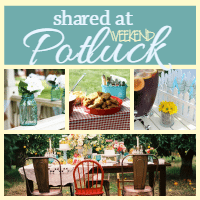 I have a casserole for you that is sure to be a new family favorite! 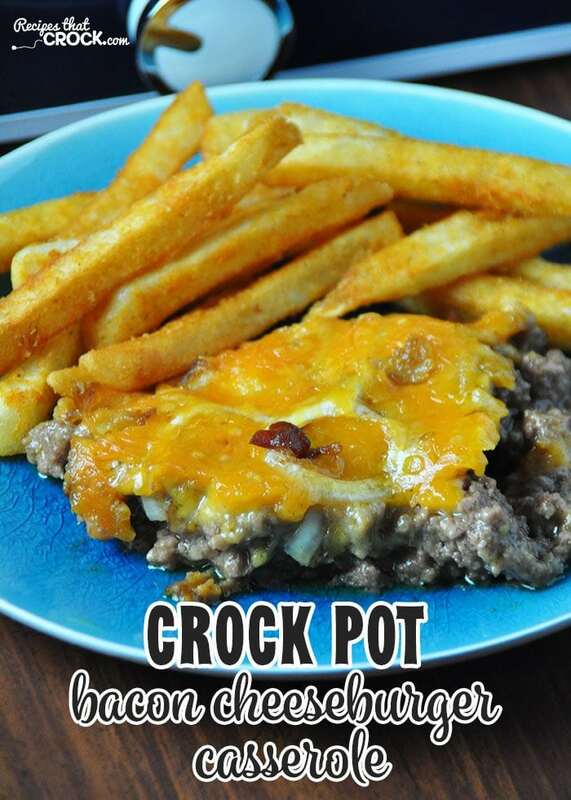 This Crock Pot Bacon Cheeseburger Casserole that I adapted from Gooseberry Patch’s 101 Hearty Recipes is delicious! Iyla is at the stage where she will try anything. However, if she doesn’t like it, it will end up all over her! Case in point, she tried cottage cheese and in a frenzy to get it out of her mouth, she ended up with it all over her face, hair, arms and shirt. Now mommy knows that she doesn’t like cottage cheese (but seriously, who doesn’t like cottage cheese?! Crazy kid!). BUT when she likes something, you cannot get it to her fast enough! That was how it was with this Crock Pot Bacon Cheeseburger Casserole. She was devouring it as fast as I could feed it to her! 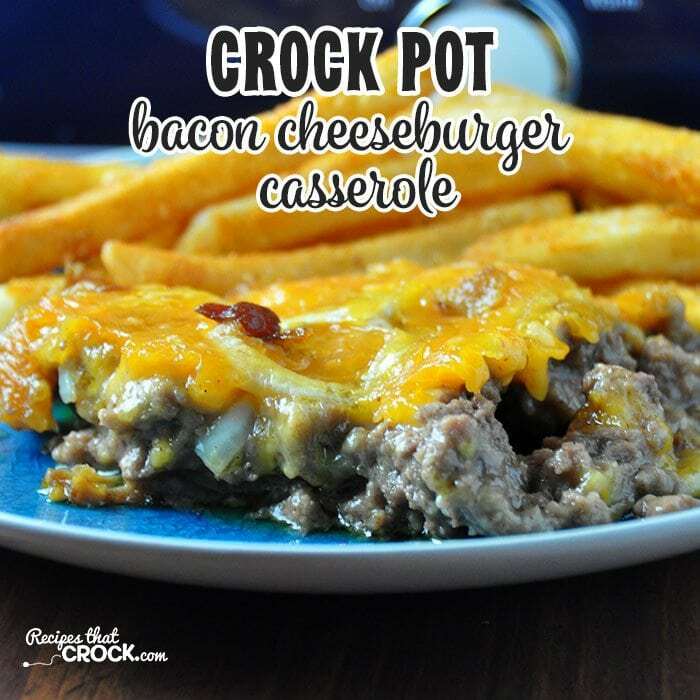 This Crock Pot Bacon Cheeseburger Casserole was perfect for my Casserole Crock Pot…you know, I am using her so much, I think she should have a name. I shall call her Cassie. Anyway, if you don’t have a Cassie of your own yet, then I would use a 5-6 quart slow cooker since there is 2 lbs of meat in this yummy casserole! Everyone in my family LOVED this casserole! I am sure I will be making it again soon! This Crock Pot Bacon Cheeseburger Casserole was perfect for my Casserole Crock Pot...you know, I am using her so much, I think she should have a name. I shall call her Cassie. Anyway, if you don't have a Cassie of your own yet, then I would use a 5-6 quart slow cooker since there is 2 lbs of meat in this yummy casserole! You could use Cris’ recipe for cream soup substitute (link below). Enjoy! What can be substituted for the mushroom soup ? Made this for dinner tonight. It was a hit. I will keep this recipe for future use. So glad I found your site. So glad you enjoyed it Annie. We are glad you found us too! If everything is already cooked on the stove why cook in the crockpot for 4 hours? Just the same as you would put this in your oven for everything to cook together if you were doing a casserole in the oven, you put this crock pot casserole in your crock pot so that everything can cook together. While the beef and bacon are cooked first, you need a heat source in order to have the beef, seasonings, bacon, soups, onion and cheese to all cook together to create the great flavor, and in this case, it is your crock pot. I hope you enjoy it as much as we do! How do I print these awesome recipes? If you look in the upper right hand corner of the recipe card (towards the bottom of each post), there is a print button.